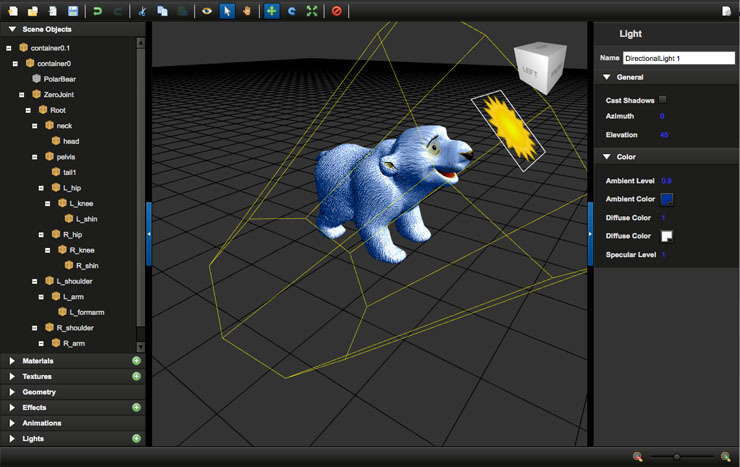 The Away Foundation are pleased to announce the release of Away3D 4.1.1 Beta. This update builds on the wealth of new functionality to come out with the alpha in November last year, providing the some of the optimisations and stability required for production use. We will be continuing this process now, right up until the final Gold release for 4.1 is made in July. As well as what seems like an endless list of bugfixes, the release has seen a string of new features added. Most notable are spritesheets animators and a constrained mode option for shaders, the former being a feature that can sync with your spritesheets created via Flash CS6 etc, the latter an option for those wanting to maximise their hardware acceleration reach while sacrificing a little on visuals. Improvements to the shadow options, scene partitioning and shading are also present, offering more options and an optimised render pipeline for those processor-hungry scenes. There are some new tutorials to feast your eyes on in our tutorials wiki, as well as several that have popped up recently on the Adobe Developer Connection. For those interested in having a crack at the new spritesheet APIs, have a look at Using spritesheets in your projects, a fantastically detailed look at everything that can be done with this new Away3D feature. We also have a look at how writing custom materials can help optimise you shader (especially when using constrained mode) in Writing Custom Materials part 1 & part 2. Now we get to a very exciting area of development – our brand new workflow tool Away Builder. You can download the latest stable binary from our Away Builder downloads page, or get a bleeding-edge build by grabbing the source and compiling for yourself. Everything for Away Builder is developed free and open source, so you can even create your own extensions directly in the tool interface should your project demand it. Away Builder has been created from the ground up to provide a better link between 3D design and development. Essentially, Away Builder is a designer interface for accessing the visual stack in Away3D. Anything you can do in Away3D you can do in Away Builder, although right now (due to our Alpha status) this is restricted to covering materials, textures, lights, meshes and geometry. 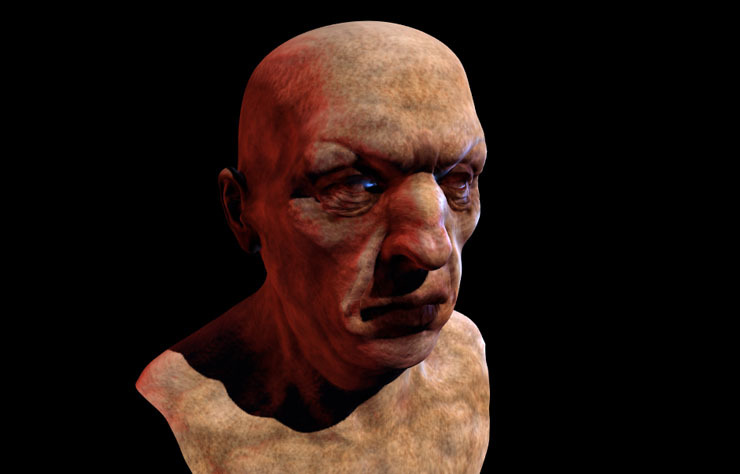 Some new examples have been added to the examples zip to support the additional features of 4.1.1 Beta – Intermediate_MonsterHeadShading is an update on our old head model from Mr Perry Lee-Smith, replacing him with something altogether more… monstrous. With a poly-count through the roof and some added shading and shadow effects, it really shows how the engine has improved these past few months. 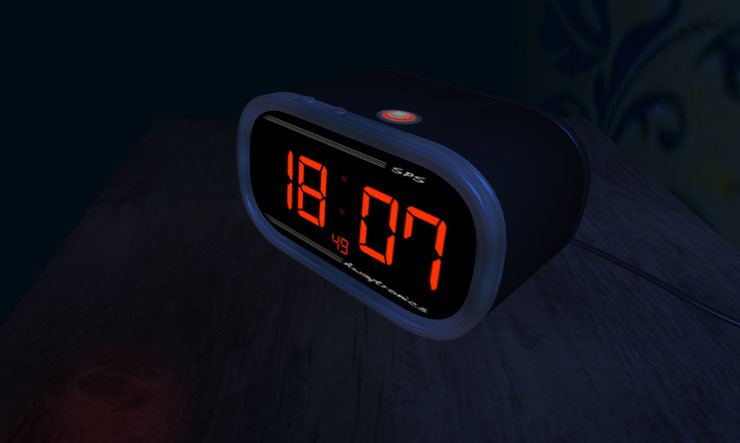 We also have a new demo showing off the potential of spritesheets, simulating a old-fashioned bedside clock, Intermediate_SpriteSheetAnimation. At first glance nothing is amiss… but wait, is that the time where you are? And is it updating with every second? Yes it is, and whats more, no GPU upload calls were hurt in its making. This update being a bit of a two-parter, its hard to know what to end on. The Away3D 4.1.1 Beta is now available on the dev branch of github, or the usual downloads page for Away3D. This is primarily a stability update so we’re looking forward to your feedback – any issues experienced then please alert us on the forums or our github issues page. Away Builder 0.9.0 is currently an alpha build – due to technical restrictions we were forced to roll back the release of a full beta candidate until the end of May. However, this gives us the advantage of responding to your feedback early in the development process. Any feature wishlists, bug reports or missing functionality you’d like to see addressed, please let us know via the github issues page or the brand new forum section for Away Builder discussion.